Whether it's an imported wedge from the cheese counter or pre-sliced from the deli, you want it to stay fresh for as long as possible. You could cut the mold off of Asiago, cheddar, Swiss, and other hard cheeses, but why would you even want to get to that point? The worst way you can store cheese is in plastic wrap. Sure, it's easy to just throw it in the fridge when you get home, but you're just suffocating the flavor. Also, since cheese is mostly oil and fat, after a few days it will actually start to take on the flavor of the plastic, which masks the taste of the cheese itself. 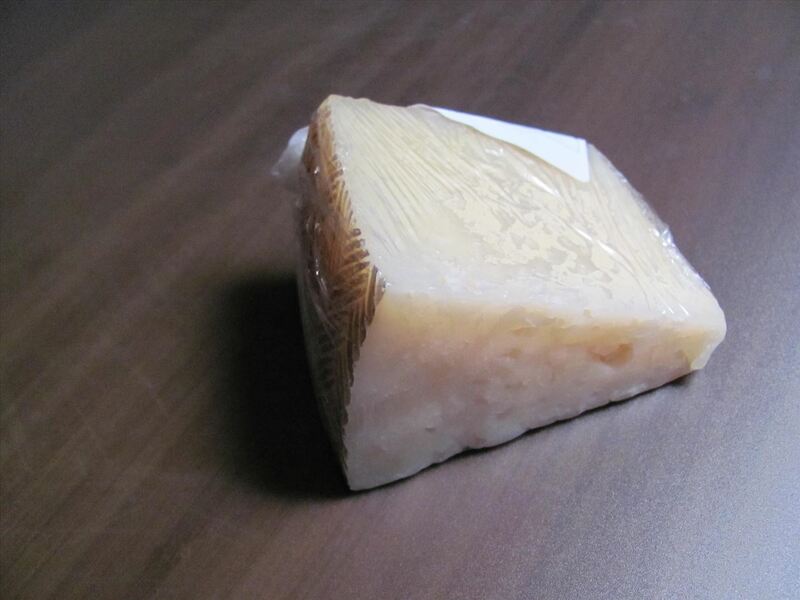 There are natural odors emitted from cheese, the most significant being ammonia's pungent smell. If you're not leaving your cheese room to breath, it's not only going to smell and taste like plastic, it's going to smell and taste like ammonia. However, if you wrap your cheese too loosely, you'll end up with dried out and hardened chunks, which is just as bad. To keep your cheese fresh for as long as possible, cheese bags or cheese paper is the best way to store it. It's porous, so it protects the cheese from air exposure while still allowing it to breathe. There aren't many manufacturers out there besides Formaticum, but it's well worth the investment. It's a two-ply material made of wax-coated paper and a thin porous polyethylene plastic, which allows moisture to wick, but not totally escape. Lisa over at America's Test Kitchen compared Formaticum's cheese bags to their homemade cheese wraps and found it to last a whole two weeks longer. 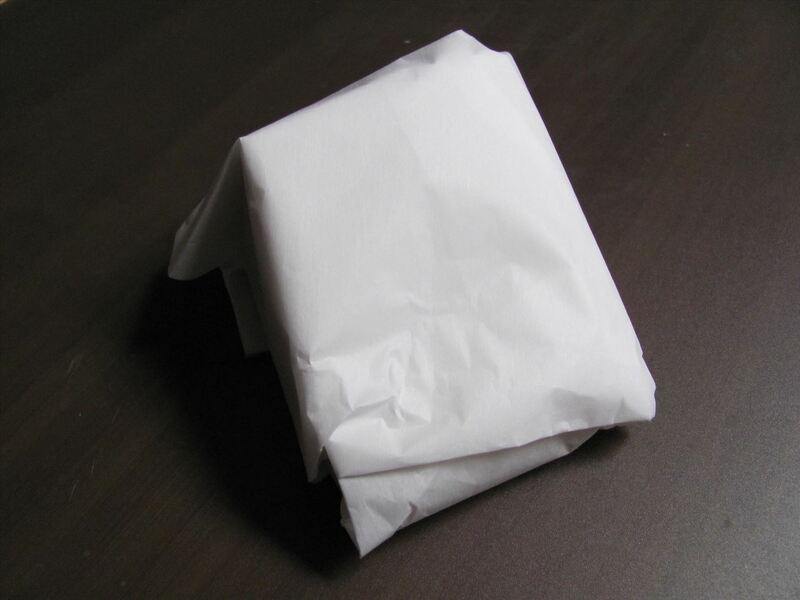 To use these wrappers properly, check out Formaticum's cheese wrapping how-to videos for the perfect folds. If you can't find or don't want to buy cheese paper, wrap it in wax or parchment paper, then put it in a partially sealed plastic bag. 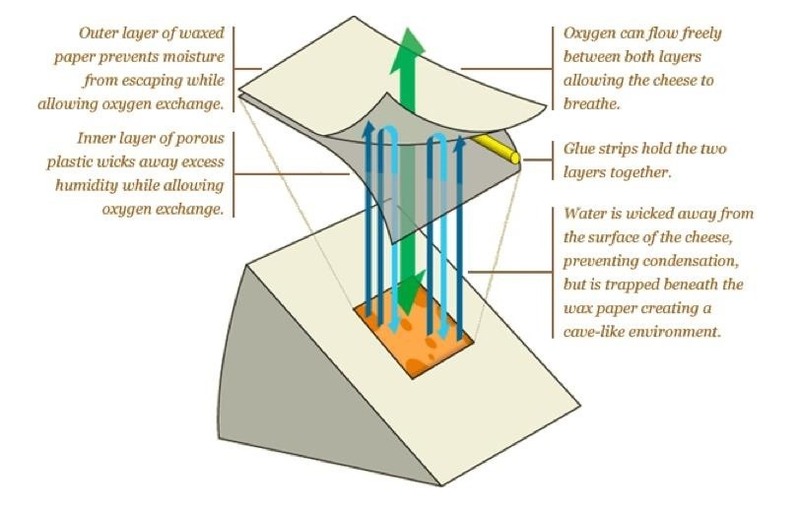 The paper creates a barrier between the cheese and the plastic, while the plastic keeps it from getting dry. If it's pre-sliced, you can wrap the slices in paper and put them back in the original unclosed bag. You can also surround the wax or parchment paper with aluminum foil, if you want to stray completely away from plastic. This is the method that Lisa used in her comparison to cheese bags, but it's still going to last a lot longer than keeping it as is from store to fridge. For the best possible package, check out Jake Lahne's step-by-step guide to wrapping a chunk of cheese on Serious Eats. For cheeses that sweat a lot, you'll want to actually replace the cheese, wax, or parchment paper every time you unwrap it. Reused materials won't give you the same breathable seal that you had before, so start fresh for longer lasting results. 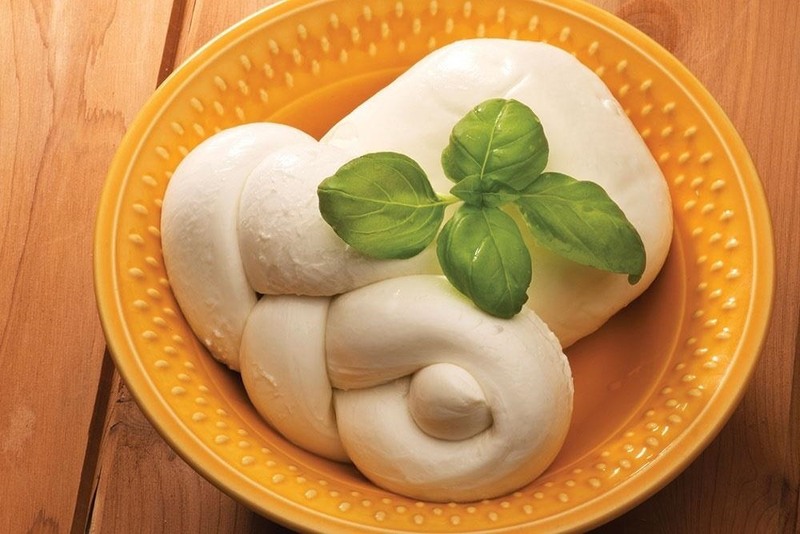 Soft cheeses, like mozzarella, ricotta and chèvre, are much fresher than their aged counterparts and can spoil very quickly if they don't have any added preservatives. For the most part, these cheeses should be kept sealed in their original containers. Some people advocate changing the packing solution on fresh cheeses every few days, but that's only necessary if it's contaminated. As long as you use clean utensils, the solution shouldn't need to be changed. 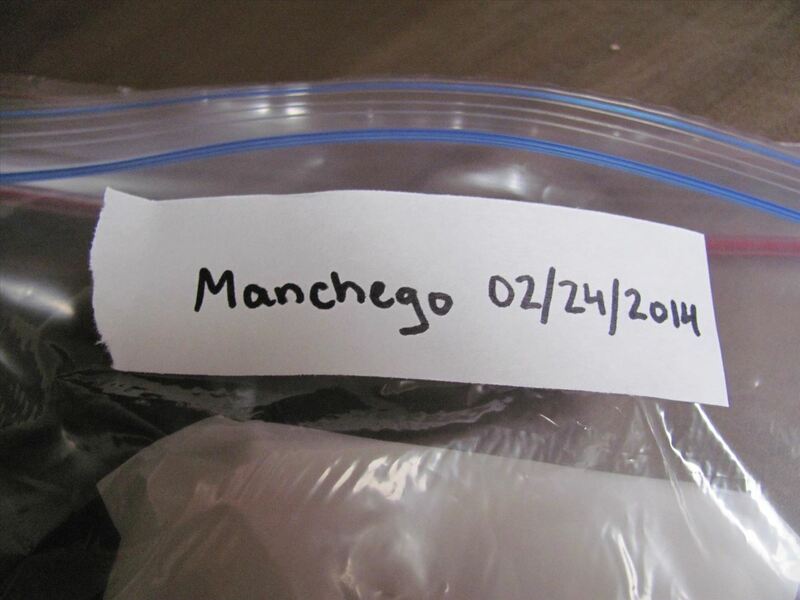 Before you put it in the fridge, label your cheese with the type and the date you wrapped it. Cheese is best when it's freshest, so dating it helps remind you how long it's been in there. Try to buy cheese in small quantities so you only have to store it for a few days. Yes, that means buying it more often, but it's worth it because it tastes much fresher when you first buy it. In a perfect world, you should only be purchasing as much cheese as you can consume in one or two sittings. Plus, that way you can't forget about it and let it go to waste. I have been trying for years to keep cheese from molding in frig. I t usually starts molding in about a week. I've thrown sooooo much out. If I cut the mold off, the cheese then tastes moldy. I have been told to rub the edges and the actual piece of cheese with lemon wedges. I've tried this, and it doesn't work. HELP!!!!! stop touching it. Use a clean dry knife. This is key. Dont touch it the bacteria on your skin seems to grow on cheese. I usually cut a small piece through plastic wrap then repack. Will try parchment paper . I use a tight container and a piece of paper towel underneath the cheese. Put it in the Veggie drawer in the fridge. Replace the paper towel when it gets too wet.